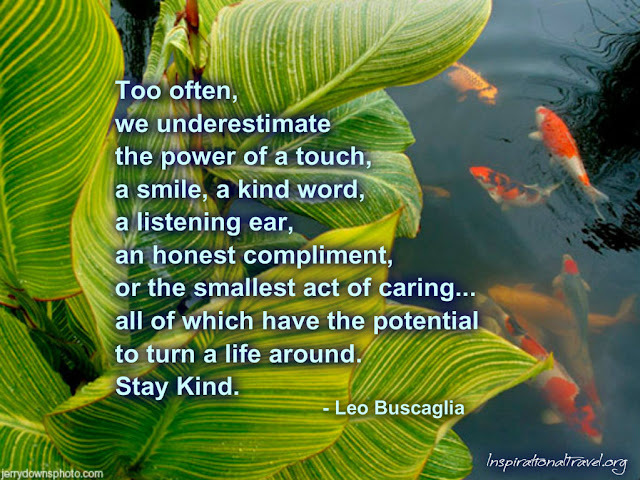 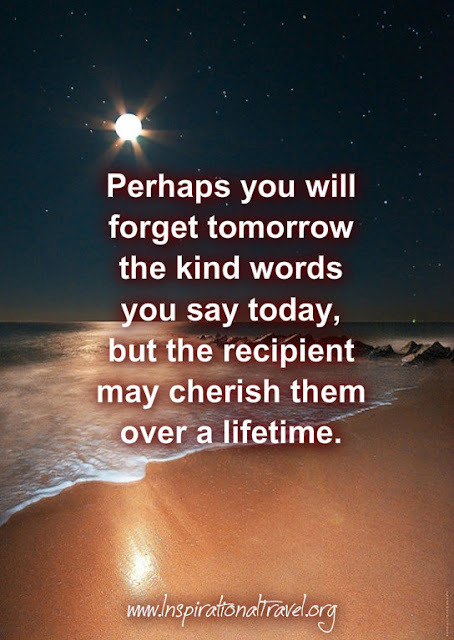 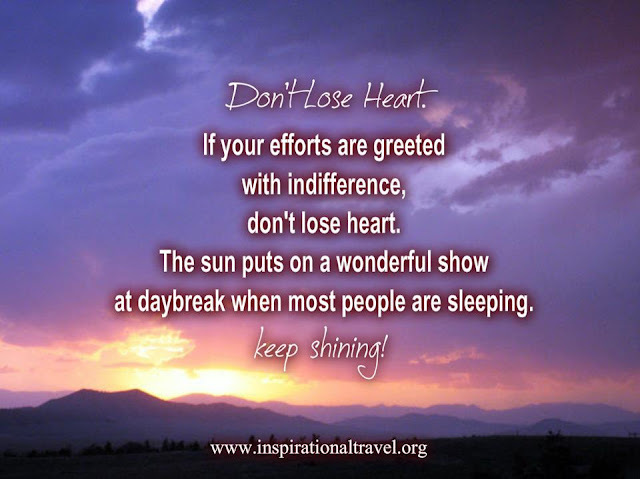 are inspirational sayings compiled by Inspirational Travel to remind us of the power of kindness. loving people more than they deserve. one day someone might do the same for you. 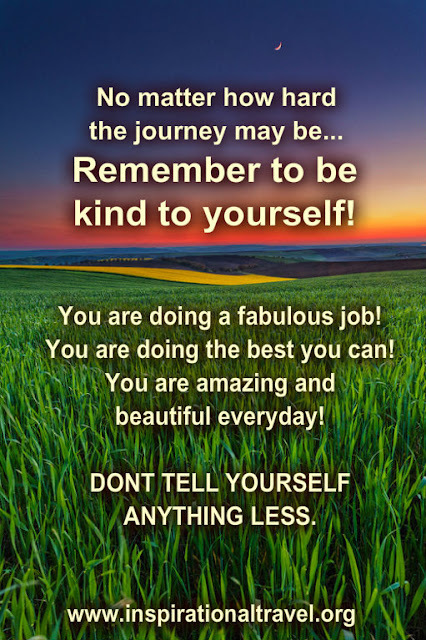 Be kind also to yourself. 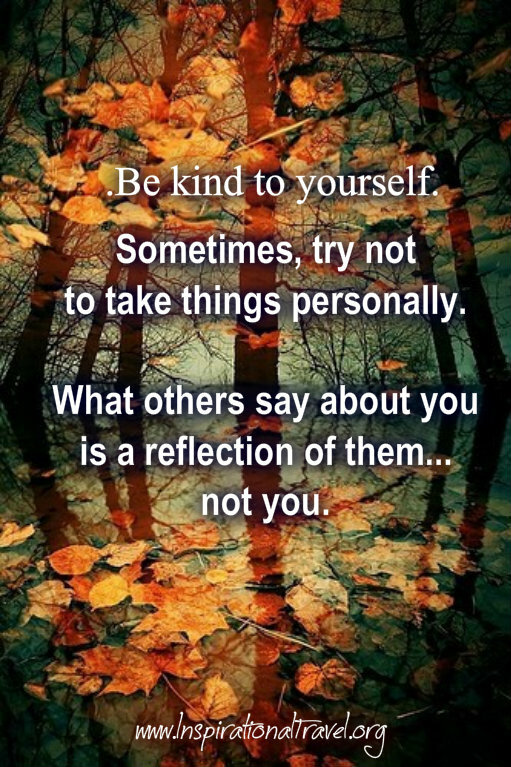 Sometimes, try not to take things personally. 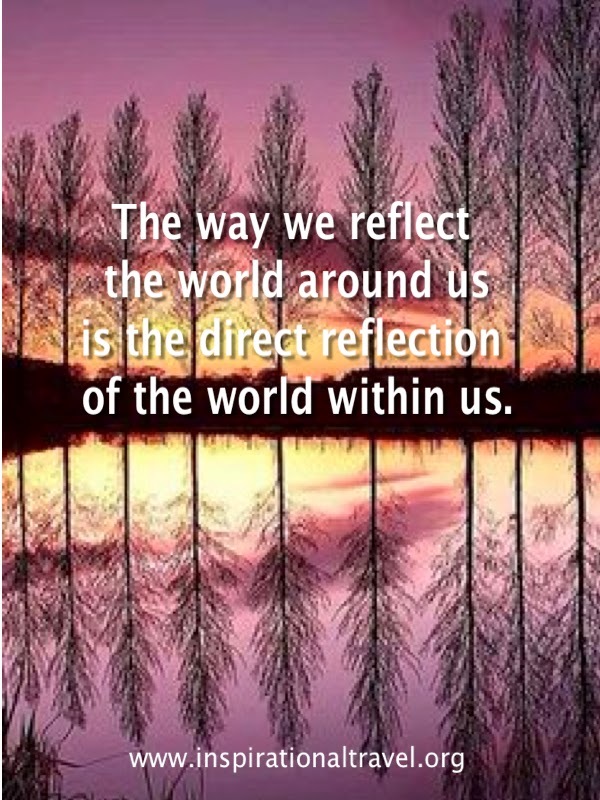 What others say about you is a reflection of them, not you. 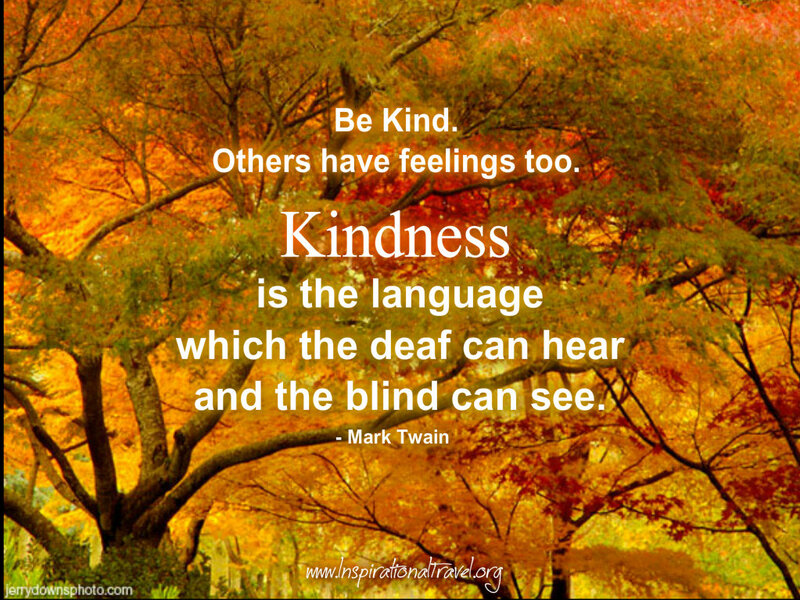 Kindness in thought creates profoundness. Kindness in action or giving creates love.